The battlemage offers challenging duels between players of a designated level. As you enter you will notice the arena is set into three circles inside of each other. 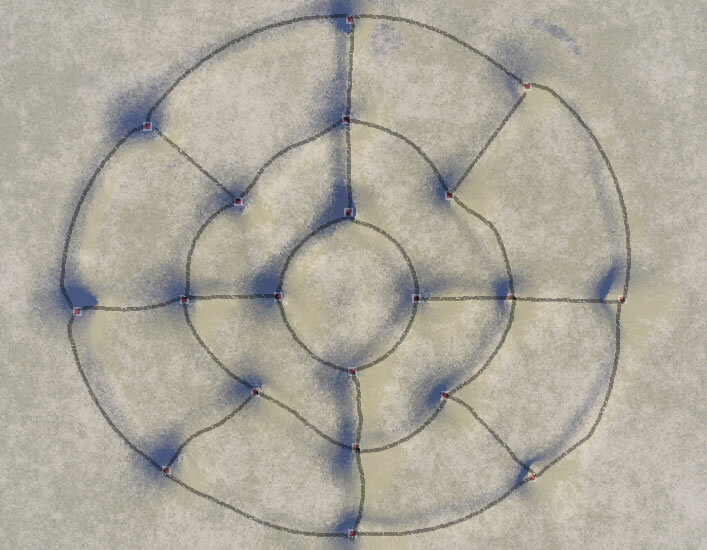 You are not able to bring any chests, grown or cooked food into the arena with you, but at the left and right spots of the center circle you are able to cook your raws. You do not need a tinderbox or wood to cook inside the arena, and if you die inside the arena you will lose no items and find yourself safely at Kinam or Toothen to try again at the next scheduled fight. The winner of a battle is awarded with a Desert arena medal. You can read more about BattleMage tactics in our Combat guide.